Sell Galaxy S7 Active | How Much is My Galaxy S7 Active Worth? Select the information above in order to receive an accurate quote for the Galaxy S7 Active you want to sell. Click sell item if you agree with the price that is displayed. GreenBuyback purchases cell phones, tablets, and laptops at the highest prices in the industry! GreenBuyback pays cash for your old cell phones, tablets, and laptops. When you sell your cell phone, tablet, or laptop to GreenBuyback you will never have to pay shipping. GreenBuyback is dedicated to maximizing the cash back to our customers. Sell your Galaxy S7 Active for cash today! 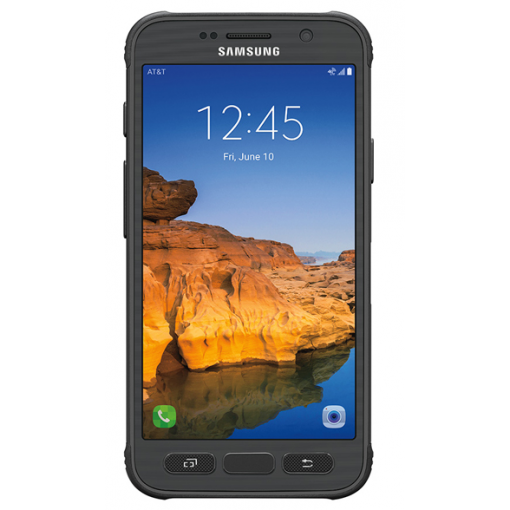 Samsung debuted the Galaxy S7 Active in June 2016. The Galaxy S7 Active boasts a few improvements over its non active version, namely storage and camera. The Galaxy S7 Active has a Snapdragon 820 processor with 4GB of Ram. This makes the phone significantly faster than the 2015 model. The camera is impressive in the Galaxy S7 Active: 12 megapixel Sony F1.7 sensor with OIS, LED flash and 4K video, further, the front-facing camera is a powerful 5MP F1.7 camera and 1080p video. Selling a Galaxy S7 Active is so easy with GreenBuyback; send your Galaxy S7 Active to GreenBuyback with free shipping and you’ll get cash sent to you fast! Samsung’s Galaxy S7 Active has an impressive battery life, Samsung claims all-day battery life even for heavy users! The phone is 20% heavier than the more lightweight Galaxy S7 model, but delivers on it’s promise of being able to withstand drops and other accidents. The Galaxy S7 Active is IP68 certified making it dust proof and water resistant in over 1.5m of water for up to 30 minutes. It’s also MIL-STD-810G certified which means it has no problem with salt, humidity, rain, vibration, solar radiation and is thermal shock resistant. GreenBuyback will buy your Galaxy S7 Active in any condition, even broken! Simply head to GreenBuyback to get a quote, send your Galaxy S7 Active in, and get cash quick!